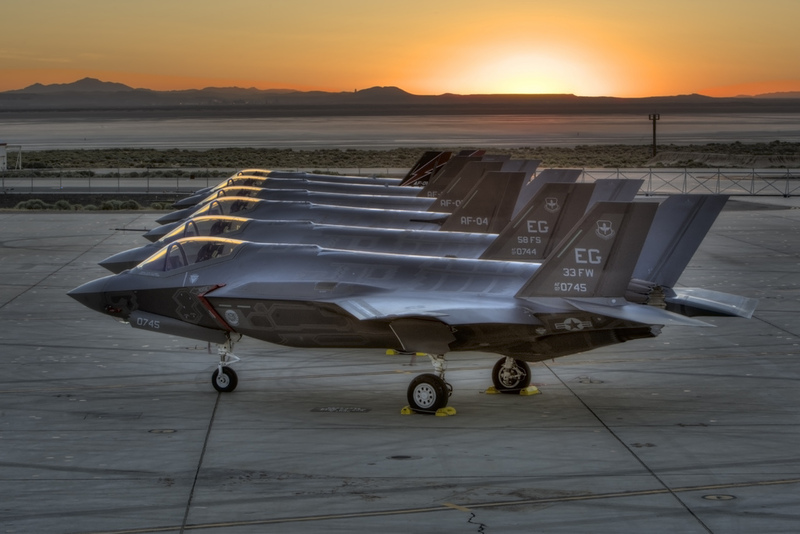 LIVEFIST: COLUMN | F-35: Should India Really Ride The Lightning? the Indian media. While this is not the first time the F-35 has been offered to India, the timing of this fresh pitch is interesting. Coming six months after the two American contenders vying for the lucrative Medium Multi-Role Combat Aircraft (MMRCA) contract -- the F-16 and F/A-18 -- failed to make the Indian Air Force (IAF) shortlist, and just days before the bids by EADS Cassidian and Dassault were opened, many perceive this as an attempt by the US and Lockheed-Martin to work themselves back into the equation. Sections of the Indian news media – both print and electronic – have called for the F-35's consideration in the MMRCA tender itself (and some have called for an outright purchase) resulting in a new round of teeth-gnashing over a topic that has stretched over a decade. All things considered, here's why we don't think the F-35 for India is a very good idea. The Lightning II can barely be called a “medium weight” aircraft – the only aircraft heavier than it in the MMRCA competition was the Boeing F/A-18E/F Super Hornet. Now couple this with the fact that its payload just about matches that of the Tejas, and you start to wonder whether it's such a good fit for the IAF. Next, even if it is advertised as a “multirole” aircraft, its capability on the aerial warfare front is still seriously suspect. At present the best it can do is carry four air-to-air missiles internally, less than half the capability of either the Typhoon or Rafale. It cannot operate without air cover as it does not possess a swing-role capability. Also, its stealth is not all-aspect like the F-22’s, and so it cannot be relied upon to make its way in and out of enemy territory unassisted. If that wasn't bad enough, it gets worse once we start talking about timelines and costs. As of today, the F-35 (without development costs included) is priced at the same level as the Eurofighter and the Rafale. But while the latter two are combat proven and available today (in a fashion), the Lightning II won't be for a decade. Going by past experience, further schedule slippages and cost overruns look like a distinct possibility. Now, factor in the additional uncertainty created by the possible need to develop a tandem-seat version for the IAF alone, and one quickly begins to see why any optimism regarding timelines and costs could be highly misplaced. In the midst of all these arguments and calculations, the main reason why new medium fighters are being bought is often forgotten: the IAF needs new aircraft as fast as possible to shore up numbers and make up for the rapid obsolescence of a large portion of its fleet, and each delay only serves to make an already precarious situation worse. It is already taking a significant risk with the Indo-Russian Fifth Generation Fighter Aircraft (FGFA) as it is. What is the point of bringing more uncertainty into the equation now, that too to procure a fighter that offers little in addition to low-observability? And yet, the reason this may turn out to be a bad idea is that in the same way the MiG-25 was replaced not by another aircraft but an indirect replacement – spy satellites – the F-35's role can be performed not by another aircraft, but by missiles. We already operate the ground-launched BrahMos. The air-launched version should be available within the next few years, giving us a 300-km reach anywhere beyond its launch point. Throw the Shaurya into the mix and suddenly we can hit targets deep inside enemy territory without having to risk aircraft or pilots. Granted, missiles cannot do everything an aircraft can but even if cruise missiles provide partial coverage, the costs in maintaining a squadron’s worth of special aircraft and pilots cannot be justified.